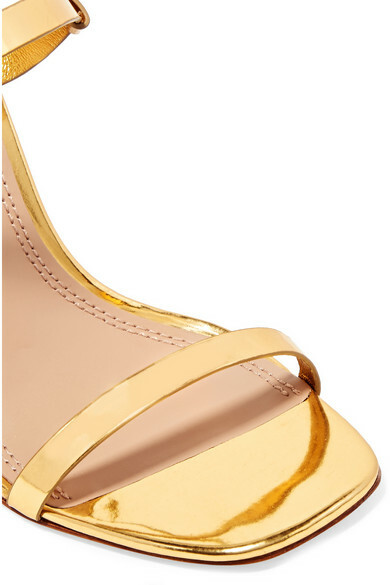 Glowy: Shoe Of The Day: Tory Burch Firenza Metallic Leather Sandals. 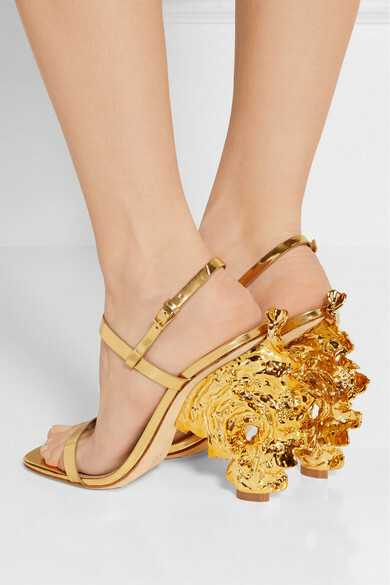 Shoe Of The Day: Tory Burch Firenza Metallic Leather Sandals. Tory Burch was inspired by a slice of natural bark when designing these 'Firenza' sandals. 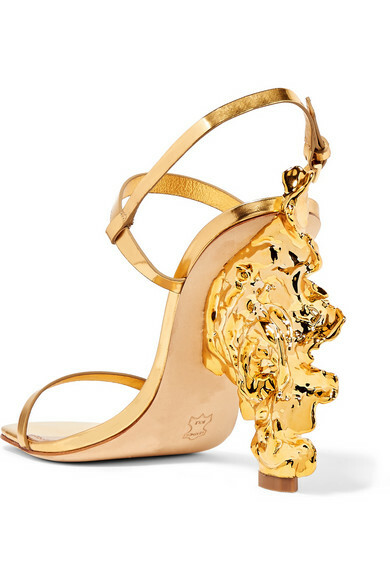 Seen on the Spring '16 runway, this sculptural pair is made from mirrored gold leather and finished with an eye-catching abstract heel. 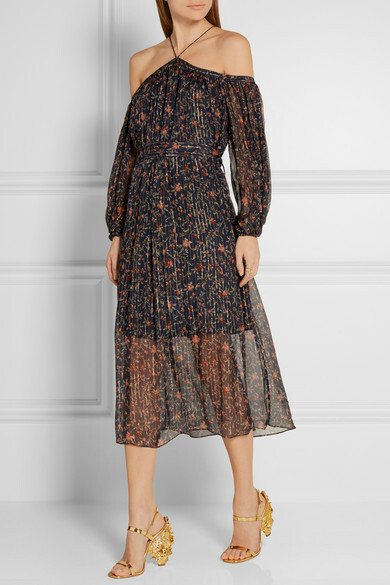 Showcase yours with midi hemlines. 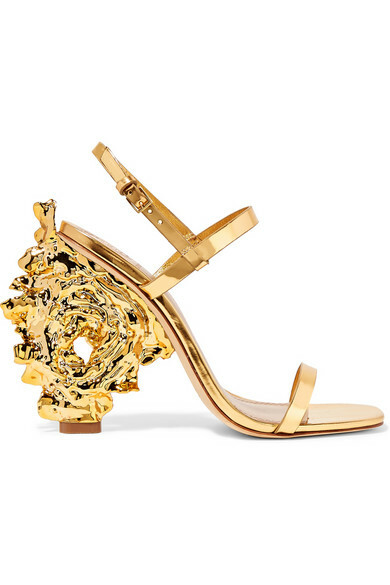 The shoe features a Gold leather, Buckle-fastening ankle strap and a Heel which measures approximately 110mm/ 4.5 inches. Am a sucker for details...this is one beautiful finishing. So impressive, a really artwork!!!! Woww! !This sandals looks absolutely stunning.!! I really love those sandals.